Myth Paper is safer and more future-proof. Reality Lab floods, fires, accidental or intentional mishandling means the end of a paper notebook. Digital data can be backed up. Why else use ELN? For convenience of keyword search, low space requirement and inevitably better data organization, to start the list. Myth It's easy to manipulate digital data without a trace, but not real paper. Reality What would stop someone from adding and modifying text in paper notebooks? On the contrary, editing digitally signed electronic records would require to break the central protection algorithm used in all modern banking. Which would make a fairly big news. Myth There is no guarantee I will be able to read my ELN if this program is gone. Reality Anything you write is in HTML and yours to keep. Nothing will expire, and there are no strings attached. Even without the license - pages can be copied anywhere and read using a web browser without using this software. 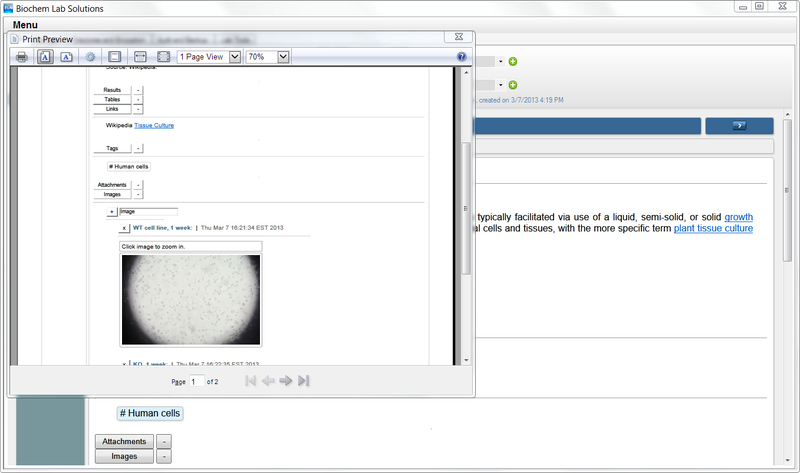 BiochemLabSolutions ELN does not force the users to keep this program around just to read the records from the past. The entire ELN is fully compatible with Internet Explorer, Google Chrome, and other common web browsers. 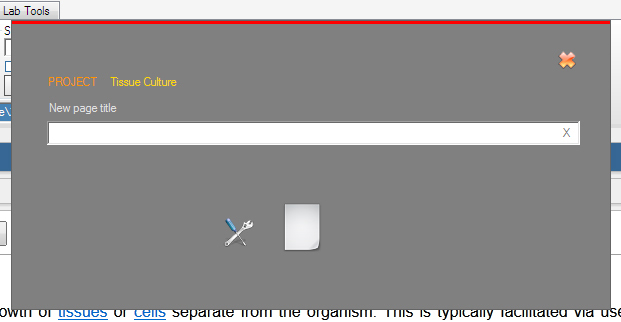 All one needs is simply open an HTML page from the ELN folder to begin a full-featured navigation. Making records with this ELN is easier than using paper. Everything, from a quick note to time stamping with digital signatures, is automated and requires little effort and time. This ELN is designed with the central idea of making the records easy. 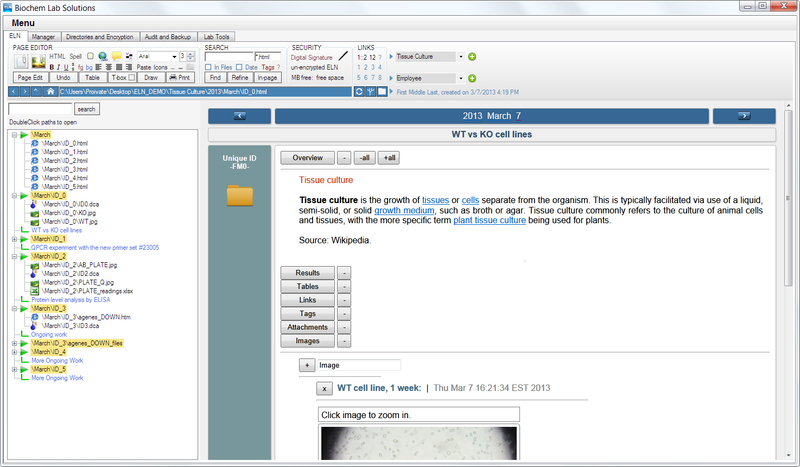 This ELN frees researchers from many routine actions, such as writing dates and times, and considerably increases productivity. Builds dynamic ELN pages tailored to keywords, ordered by date, and with previews of all images found in project folders. If preferred, the ELN is also compatible with external engines, such as the free and exceptionally powerful Copernic. Unlike paper, electronic pages can be linked in any way imaginable. If page "X" describes data relevant to page "Y" from the past month, wouldn't it make sense to somehow connect these pages so in future this relevance is not lost? This ELN supports unlimited custom links with comments from any pages and to any pages. BiochemLabSolutions ELN is more secure than paper thanks to Open Source TrueCrypt encryption. Encryption is cryptographically strong, deniable and has absolutely no impact on the speed of data access. TrueCrypt was developed by security experts and is trusted by security experts. In fact, it is considered by many the golden standard in encryption. "Was this sentence here on December 17, 2008 ? Or was it edited in yesterday ?" With digital documents, it is easy to do editing without a trace. 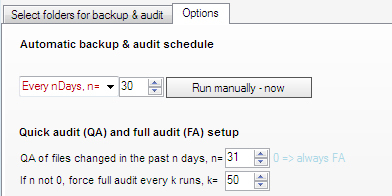 If this question cannot be answered with a solid proof, ELN records lose value as a trusted documentation instrument. BiochemLabSolutions ELN integrates a simple and effective audit method to prove that every record, every comma and every byte in ELN project or in entire ELN is original and was not modified after the date of signing. The digital signatures used are cryptographically strong (asymmetric equivalent of 512 bit) and once issued, cannot be compromised or bypassed. Digital signatures can be created automatically on a schedule. You don't need to be a security expert to use or interpret them. 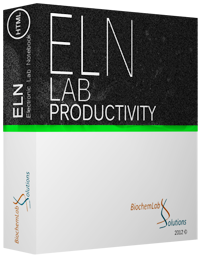 BiochemLabSolutions ELN is a powerful data manager. 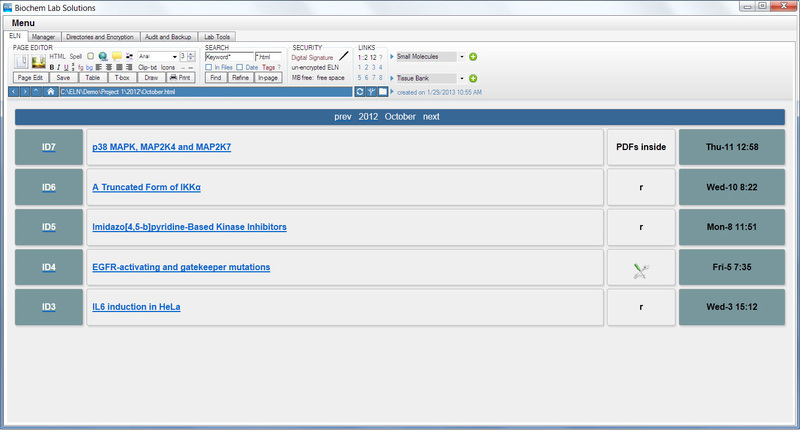 The ELN stores all notebook records and all data files relevant to each ELN page. 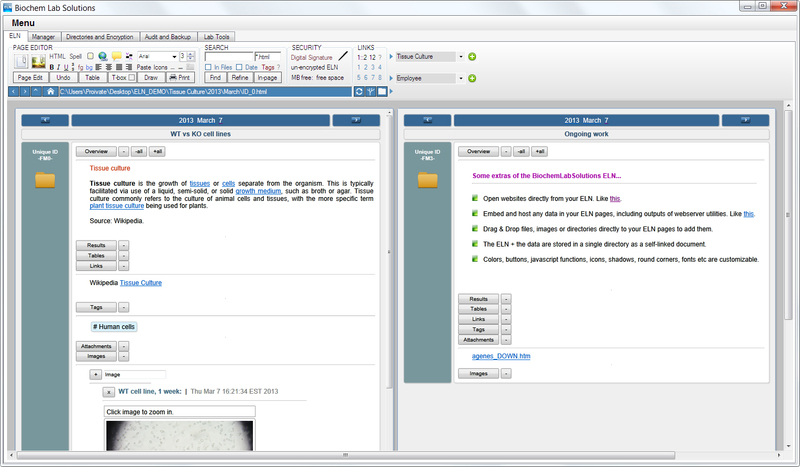 Opening ELN pages brings to view all the associated data to ensure a convenient way of storing and managing digital lab resources. 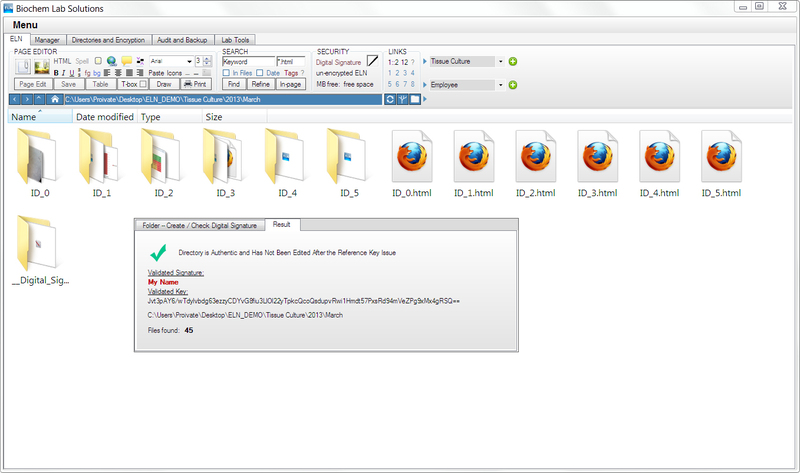 All files are digitally sgned along with the ELN records. 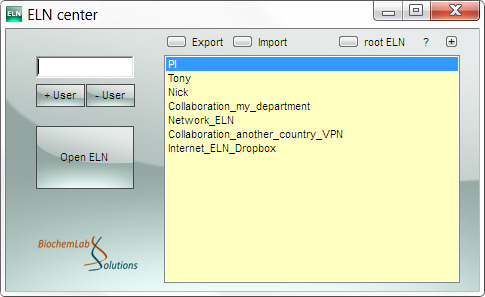 Records created with this ELN can be read in any OS, export or conversions are not needed. Install VirtualBox and use Windows XP (with .NET 3.5)/Vista, Windows 7 or 8 as your guest. Windows OS CD or DVD will be required. The benefits of this method: one keeps his/her favorite OS, but accesses the full power of any Windows programs seamlessly, without rebooting. Color palette, all icons and default fonts can be customized. The overall ELN appearance can be custom controlled via the style.css file, which allows to change page design from "very square" to "very round", add shadows, add cell borders an much more. Access this option from "Menu->Fonts and styles".